Horizon Zero Dawn is a brand new, highly anticipated game that is a third person role play game that was released on 28 February 2017, developed by Guerrilla Games and published by Sony Interactive Entertainment for the PlayStation 4. It has many reviewers seeing it as being one of the best graphical games on PS4. Horizon Zero Dawn is set in a distant post – apocalyptic future, having you play as the character Aloy, a hunter who uses a range of melee weapons and stealth as her allies. With the open world game play you explore a new world overrun by mechanic creatures and unravel secrets of the ancient world with advanced technologies that will determine the fate of the planet. 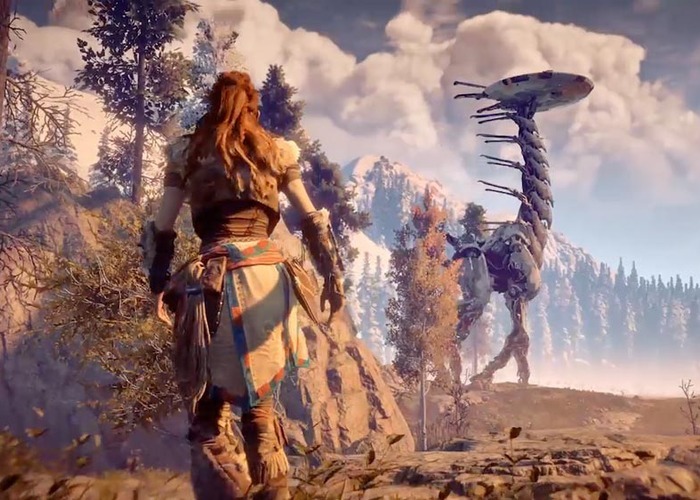 Horizon Zero Dawn is the first new game concept to be developed by Guerrilla Games since 2004’s KillZone and was considered riskiest idea pitched to game director Mathijs de Jonge.